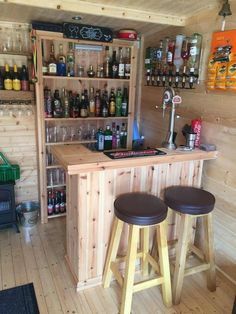 What kind of kitchen or home bar is even complete without the right bar chair? Truthfully, none. Everyone knows it’s the little details that complete a room, a look or a style. 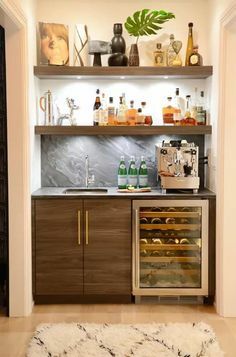 When it comes to your kitchen or home bar, you can’t forget the important things that will accentuate the entire look of your space. So, come on a journey with us to discover our top picks of modern bar chairs for your home. 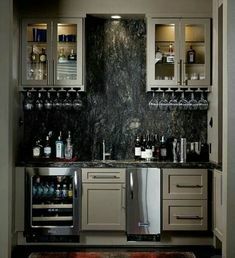 Looking to complete your kitchen or home bar but don’t know exactly what’s missing? We do. 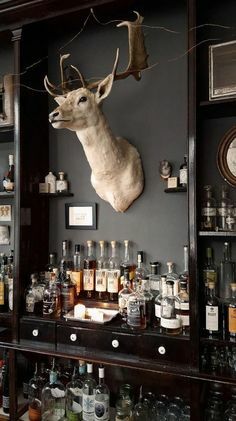 Bar chairs. Beautiful, elegant, modern, colorful or monochromatic. 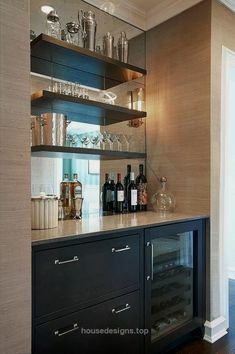 We have it all in our top 5 picks of modern bar chairs that you’ll want to add to your home by the end of this article. 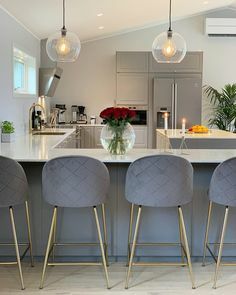 Kelly is one of the perfect examples of a bar chair that will bring elegance and sophistication into your home, with the golden polished brass and comfortable sitting space. You won’t be disappointed if you go for this look! These classic but still very modern bar chairs are from none other than the Viviane Restaurant in Beverly Hills, an excellent example of a mid-century modern inspired space with furniture that we know you’ll wish to have in your own home. 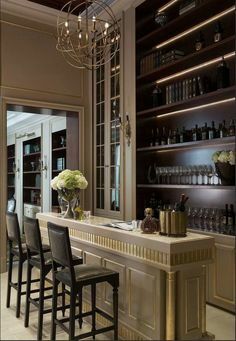 Just from these bar chairs, you’ll feel like you’re being taken back in time, yet still keeping your kitchen or home bar very current. For a more rustic but modern look we couldn’t not show you these bar chairs. 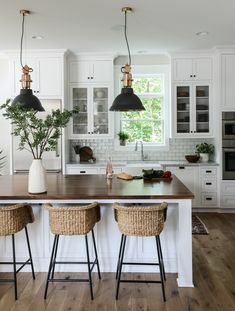 Comfortable and functional, they mix the white fabric with the wood of the legs that can easily be added in front of a wooden counter, like the picture above, or mix it up with marble and other materials. Keep it light, clean and stylish! 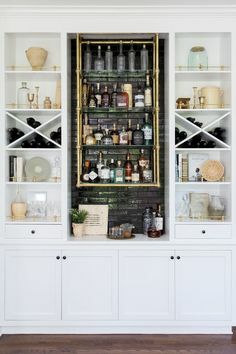 Want an accented piece that brings a bit of color into your dark home bar decor? Look no further! 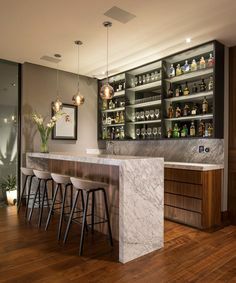 These bar chairs are a must-choice if you wish to get that look. Dark wood to combine with your decor but a touch of color with the fabric of the seat. 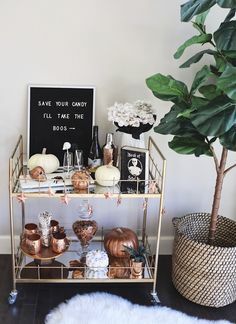 And we certainly can’t forget the tones of gold that bring elegance to any space. 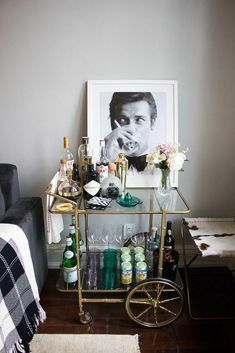 And lastly, the Collins bar chair, one of our favorites to add to any space. Contemporary but mid-century inspired, it amazes anyone that sets their eyes upon it. With a black that gives a touch of elegance and the golden that brings sophistication, we are pulled in further into the style that it represents.